On Tuesday, May 15th, I was able to sit-down at a Design Worlds 10th anniversary closed studio recording session featuring special guest, Linden Lab CEO Ebbe Altberg. EA Fifteen years for Second Life. It’s absolutely magical how this product and this community just keeps on truckin’. It’s a testament to what we’ve been able to do for you, and it’s also a huge testament to the incredible creativity that residents have taken on to make this such a special place. And we certainly look forward to going for a long. long time yet; so hopefully this is just a beginning still. We want to make it clear to people that Second Life is still very much alive. On the streets, it’s fairly common that I run into people – or on the golf course or wherever I might be – where people have heard of Second Life and they go, “Is that still around?” – Yes, very much so. And it’s not only around, it’s improving. The team here under Grumpity and Patch and Oz and Brett and Xiola, and all these people have done an incredible job over the last few years to make Second Life better than it’s ever been; and as you’ve seen, we have lots of plans to make it even better. And we’re very encouraged by the response we’re seeing to a lot of the work we’ve done, and we’re more optimistic now than I think we’ve been for quite some time that not only can we make sure that it be around for a long time, but that we can actually get growth back in Second Life and that is extremely exciting. Let’s take a look at that infographic. Is there anything you found particularly surprising or pleasing? Well, for me personally, although revenues are obviously important, being the CEO of the company and everything, [and] which is not necessarily on the infographic but what’s emotionally even more interesting is the kind of value it brings to users. I don’t even memorise what’s on the infographic, so I’m shooting from the hip here [but] one number that I think is fascinating is that residents last year redeemed almost US $70 million. So there’s a huge number of people making a living in here across such a huge, broad range of content and services and art and music. It just shows that it’s an incredibly vibrant economy and community. And that’s almost the most satisfying to me, when we can actually see how it helps people live better lives, being able to make an income from the work they do; and that’s not necessarily everybody’s goal, but that its possible for so many people to make it a business and a professional choice – that’s really, really cool. And the mount of creativity – I mean five million virtual goods on the Marketplace? That’s an enormous amount – actually, some of that should probably be removed, but we can get into that later. But still, it just shows how incredibly creative and multi-faceted this platform allows people to be. That’s what I think is the most interesting and motivating [thing] to me. …And just hearing so many stories; whenever you have a hard day or tough going, you get constantly reminded with these incredible stories of people’s lives improving, or groups of people being able to do what you guys did [at Fantasy Faire], raising that kind of money [US $48,000] and helping people; and people getting support. It’s just making such a huge difference to so many people, and that’s incredibly rewarding. Turning to the roadmap, it suggests you have some ambitious plans and some interesting restructuring for [the economy of] Second Life. In general we feel that land is too expensive, and that this incredible GDP, or economic activity in Second Life is from our perspective actually under-monetised. There’s a subset of users that we charge too much, and there’s a subset of users that we charge too little. So, when we say we want to lower land costs, at the same time other fees, whether those are fees for buying and selling and redeeming Linden Dollars, or transacting, or subscriptions – or premium as we call it. Those are places we want to look to [in order to] collect more money to reduce the cost of land. It’s very common feedback from people is that land is just too expensive and it’s hard work – if you pay for a Full region – to have that pay for itself unless you have a really decent hobby budget. And unfortunately, we’ve seen a lot of great content over the years disappear, because the owners of those regions or parcels couldn’t afford to keep them running; and that’s sad to see. So, generally speaking, that’s the shift we’re trying to make. Some people can make a lot of money in Second Life and when you add up all the fees, not pay us a whole lot. And then you have people who have to pay a lot for not necessarily a scalable business. So it’s off-kilter a bit, and that’s what we’re adjusting. And you’re seeing us take multiple steps already, with the buy-down programme a couple of years ago and the reduction in Mainland pricing just more recently, and the additional amount of land you also get there on Mainland. And we’re going to carefully continue to go down that path of adjusting the economy. How successful has the Mainland pricing restructure been? Has it attracted new Premium members? So first of all, we’re extremely happy with the response. Patch’s team can barely keep up with the demand [from] Premium members who want to get additional land or new land on Mainland that they haven’t had before. So they are running very busy, and the graph that we looked at as far as parcels being rented out is a very nice graph, and we’re now ahead of where we were a couple of years ago, and that’s really great to see and motivates us to do even more. And yes, we have seen Premium subscriptions rising, which is great, including annual, so people are definitely investing in Second Life in that sense; ownership is increasing faster than it has in years, and it’s like we’re adding a few regions’ worth every day. So it’s been tremendous, and it’s still going. We keep waiting for it to peter off, and so far the graph continues to go up and to the right, and so we just keep cheering it on, and it’s great to see. We still have to do some more digging to see how much of this is existing Mainland users getting more land, versus how many of these are maybe Premium subscribers who just hadn’t chosen to get themselves a plot before versus absolute net new users that owned no land before, who have chosen to get involved now. How that is distributed, we haven’t had time to dig into yet. We’re just fulfilling orders as fast as we can! Well, that’s still [a part of] conversations, but there’s more to come. We haven’t decided yet; we want to do these things in steps, so that we can understand what changes caused what [reaction]. If you do too many things all at once, it gets blurry and it’s hard to tell what’s cause-and-effect with what we’re doing. But to what I said earlier: generally, our intention is to lower land cost and find ways to monetise Second Life in other ways. That’s our goal, and we’re going to keep plugging away until we find some kind of happy equilibrium that’s in the best interests of everybody. So keep your eyes open; there will be more on this hopefully pretty soon. Will there be any previews of the updates coming to linden Homes, and will the existing Linden Homes be converted to mesh? I don’t think the goal is to convert existing homes; the team is working away to introduce new homes; homes that yes, will take advantage of the latest building techniques such as mesh, and also might also deal with the 1024 [sq m] form factors, so maybe there’ll be some mesh mansions out there, we’ll see. I don’t know if they’ll be called mansion, but some people might want homes that take advantage of 1024 [sq m], but some people might want to take that much space for a home and want smaller, so there will probably be a selection of bigger and smaller ones – we’ll have to see. How will people be able to auction their own land, and will this apply to private estates? Well, for starters it will be Mainland only, one step at a time. So, if you own a parcel, you’ll be able to put that up for auction, and any Premium member will be able to bid on it. One difference is that we’ll probably hold money in escrow up front, and if you don’t win, you’ll get it back. That way it’s less hassle if someone wins and doesn’t have the money. And for starters, it will only be individuals who can buy and sell land, not groups. It’s getting close, again I don’t want to promise dates, but I think they’re getting pretty close to the beginning of this new product. And we’ll take some kind of a fee in the transaction; I don’t know what amount that will be yet. but hopefully this will make it easy for people to buy and sell [land] and also, over time, make it less work for us to have to be the middleman for some of these transactions. Are you considering community support for the new theme learning islands, and what are the themes likely to be? Have you considered support for the existing Community Gateways that have a long history of success? The primary intention with these themed islands is so that we can do more vertically specific user acquisition experience. Should, somewhere on the Internet, someone see something – could be an ad by us or by a resident – saying “hey come here!” or “do this!”, and you take that action. When you go down that funnel, as we call it, to click on this banner or add or blog post or whatever it is, and then you come to a landing page, and then you go through a registration flow, and then ultimately you download a client and you get inside of Second Life, and you land in a place. We want to make that journey as consistent in messaging [as possible]. So if you’re expectation is to go to a particular context, whatever it might be – some subject matter or a theme or whatever it might be – you don’t feel like you suddenly lost what that was. And so we’re trying to make that on-boarding experience more contextually relevant all the way through and see how that measures up against the generic on-boarding experience, so you get much more of a sense that, “I’m going to get what I’m looking for in the first place when I started this journey”. And we want to do it in a way that we can ultimately scale, so we can do lots of different campaigns or acquisition initiatives and see if we can just get better conversion rates and they ultimately better retention, because you feel like you got what you were looking for. It’s a tricky thing to figure out, so we’re in the early stages of starting some tests and then finding, “oh, we did this wrong”, so tweak some things and then try it again. Then ultimately, once we have some successes, then we can decide on having more of these themes, and what themes work and don’t work. It’s really about trying to improve the acquisition flow and ultimately the cost of user acquisitions, so that we can get more people in here at lower cost. And also set people up for what they feel is a much more successful on-boarding journey. So this is going to be a lot about testing and validating. And to your point about having help when you arrive at these destinations, we have tested in the past and it might come up again, to have people – greeters, if you will – on these islands, and see how much better does it perform if we have staff that are basically helping people get into Second Life. When we did that test, it actually did not win out. Having greeters in the welcome islands did not perform better than not having greeters. It surprised us, and we tested it a number of times, and maybe we did something wrong in the tests or whatever. But at that point it didn’t turn out as a winner. And I’m not saying that’s true for every user that comes on-board; it might be for some it might be absolutely critical for someone to greet them and help them. But for a lot of people it might have been off-putting for some reason we don’t understand full yet. So we’ll have to figure out more of what we can try there. And as to community gateways, they’re up-and-running and have been for over a year, and we support them with the Community Gateway Programme. The intent really, is to see if we can find partners who can run community gateways that can actually do a good job of acquiring new users and on-boarding them into Second Life on some meaningful scale. We have some great community gateways, but I wouldn’t necessarily say they’re contributing a whole lot of new users. I think we have community gateway programmes where they do a great job of being great to the existing community in helping them in all kinds of ways, but bringing on new users in volume, we haven’t seen yet. We had success with that many, many years ago. There was a community gateway in Brazil than lit up the Brazilian market; but that was in partnership with a fairly substantial media company that could bring a lot of traffic into this gateway where users were on-boarded in what you could call another themed on-boarding path, because it was contextually relevant to a Brazilian audience. But the Gateway Programme is up and running and we’re willing to offer it to anyone that is willing to give it a shot, especially if we believe they can contribute to bringing a new audience to Second Life. 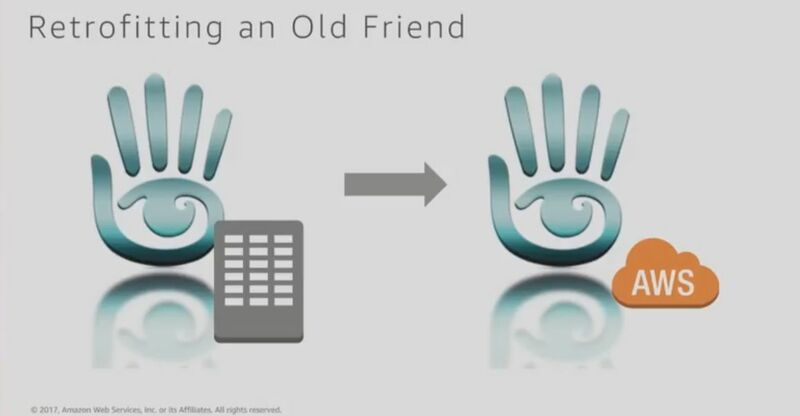 Is the question, are Community Gateways better for retention, rather than for bringing new users into Second Life? That could absolutely be; and then the question is, do they need to be gateways, or could they just be regions of any kind where you can help retain and train or hug people, or whatever needs to be done to retain them? But the Gateway Programme was originally intended to be an opportunity for us to work with partners that could contribute new users. But that’s quite a substantial commitment to do, and it’s not easy to get meaningful numbers of audience on the Internet. That’s hard work. We obviously spend quite a bit of money on user acquisition; but there’s different ways to do it, to be in contextually relevant places on the Internet where relevant audiences might be hanging out who would find value in Second Life for all different kinds of reasons. And community gateways can also be unique way for call it user-generated themed on-boarding experiences that maybe we hadn’t thought of, or for niche-like audiences. So, anyone who thinks they can attract a unique audience in some way, then maybe the Gateway Programme would be the right solution for them . Can you give any indication on what the Marketplace updates are likely to be? There is clutter, I think both in some of the content; some sellers put content up a long time ago and maybe haven’t logged-in for quite a while. So I know there are some thoughts around how we can clean up some of the content. There’s also a lot of user interface things that are fairly obviously a bit cluttered and it looks a little bit dated. And there’s also, I think, specific improvements. I know that people want to be able to sell products in various colours, and do you really need one unique listing per colour, or could you combine that in a way, or multiple store fronts, or easier ways to demo products. The list a long, we just have to try to work with the community to figure out how we tackle these in a priority order. Because of a lot of other things going on, we haven’t really got to jump on this just yet, but we will start to get traction in a couple of months, and then I think we’ll start to engage much more with the community and the sellers to understand how we can fix the most obvious things first and do a good prioritisation. This is going to be a long project before people start to notice we put some attention towards this. It could be as long as towards the end of the year. But we’re definitely committed to make significant improvements to the Marketplace, but I don’t think there’s going to be any significant things in the short-term. It’ll be a couple or two-three quarters before you start to notice the improvements. But there might be some things that might be fairly quick. Maybe cleaning up the Marketplace to make sure that old products that are not tended to or not served might go away sooner rather than later. But we’re committed to putting work into it, but obviously, the commercial activity is growing in Second Life and the Marketplace is a piece of that. A lot of it happens in-world as well, which we’re perfectly happy with, because it’s great when people spend shopping in-world. but it can also be way more convenient to use the e-commerce store to find what you need at times. Amazon can be nicer than running around between lots of bricks and mortar sometimes. But more to come on this; be patient. It’ll take a little while amongst everything else going on. It’s going to be a big effort. Presumably the Marketplace will play a role in the re-balancing of the economy and revenue generation? We have certain points where we collect today: land; we have the Linden Dollar buy fee, the Linden Dollar sell fee; the redemption fee for you to cash out; we have a percentage on the transactions that happen on the Marketplace; we have subscriptions, or Premium. There might be additional products that we roll out through the year that have additional fees associated with them. And then we might look at some other ways for us to more intelligently participate in the transactional economy. We haven’t decided [on] the best way to do that. and whether Marketplace fees will go up – it’s 5% today; if you look at digital economy on the Internet, it’s probably very common and expected that 30% goes to the house. 30% is a very common number. I saw Microsoft with their upcoming store for Windows-related products will have a lower percentage, which is going to be interesting to see, whether that’s just to get into the game or to try to put some competitive pressure on what digital goods split between the publisher or the house and the seller. In other on-line digital marketplaces, it can be as much as 70% going to the house. I don’t want to put fear in [people]; we’re not going there. But when you look at aggregate, if I’m just a seller, selling content; I may not own land; and I’m selling it through the Marketplace or maybe through stores or if I’m a successful seller, the cost of land becomes a very small percentage of my overall cost of operations. And yeah, you have to sell the [Linden] Dollar and redeem the [Linden] Dollar, and you add it all up, it’s less than 10%. As we want to lower land prices, I would expect that total number to go up on the economic sell side of goods and services. How much? We haven’t decided. I think we’ll take it step-by-step until we find what seems to be a healthy, natural equilibrium between the different ways you can make money, we can make money, and it is the most optimum. It’s just a bit lopsided right now. Something like that could see a return to people using in-world shopping mall, which declined as the Marketplace took off. We’ve seen a healthy tick, and I think that has a lot to do with some of the capabilities we’ve provided. You look at some of the really popular products – mesh heads – popular product! So as we provide capabilities for creators and sellers to provide more interesting products, that helps activate the Market. So we want to continue to find the right economic balance, where running a business in Second Life makes total sense; and also provide all the tools and capabilities so that people can create fascinating content that people love to buy and own. So we’re going to try to do a little bit of all those things to continue the growth of the GDP as we call it. Can you tell us any more about the upcoming brand-new Premium subscription advantages that will add more value for Merchants, Creators and Landowners? Well, first as we talked about earlier, Mainland pricing has since then happened, and is off to a being very successful change. So it’s clear Premium subscribers really enjoy that benefit, and we’ve seen growth in Premium subscribers. We are also with regards to creators, as we’ve discussed before, working on Animesh, Bakes on Mesh, improvements to the environment [EEP – Environment Enhancement Project]. And these will offer new and interesting opportunities for creators and shoppers alike. The kind of content that that will be able to create will be fascinating and more optimum. And when you can create and sell and buy environments and Animesh, it’s going to be very fascinating. We saw how Bento really kicked-off a very interesting activity on the Marketplace and created huge opportunities for creators and a lot of enjoyment for shoppers; and I think these things we’re working on here will have a similar affect. There’s also work being done for landowners with Estate Management tools, making it easier to manage you land. There are lots of tweaks coming in that area; there should be a project viewer soon. And again, we want to work very closely with the community; we’ve had a lot of success when we did Bento; we iterated a lot, with a lot of input from the community as to how to get that done right. And when we finally went grid-wide, it was a big, big success. And so we want to roll-out project viewers for these changes pretty soon. Some of them will be sooner, some of them will be later this year, but it’s all going on. And over time too, we’ll be able to increase some limits. There will be more work done on performance and quality so that maybe you can have higher concurrency of users on regions, or maybe for some subscribers, even having more attachments . So we want to try to continuously add more value, especially to Premium subscribers. While last names may be a barrier to sign-up, they do give a sense of family and belonging. How are the plans going to bring them back? It’s probably going a little slower than we’d hoped, because there’s always thing coming up that try to sabotage our beautifully perfect road map plans; but it’ll happen. One thing that I need to remind people – certainly scripters – is to starting thinking about handling names using agent IDs and not strings, because you cannot assume a person will have the same name pinned forever, as soon as we open the door here for people to change names. So please make sure that scripts remember names using IDs and not the strings of the names. The sooner people make sure they take care of that, the less pain there will be when we roll this out. New accounts will continue to use “Resident”; Premium users will, probably with an additional fee to be decided, be able to choose a new last name from a list, and it will not include any names from previous lists. And then they can enter any first name, whatever makes it unique as they wish. And no-one will be able to use a name previously used by anyone else, so a name will always apply to the same user. So, it’s being spec’d out, we’re thinking of all the edge cases and getting the tools in place; that’s what I have so far. You’ve indicated that the migration to the cloud could bring about new products. Could you say a little bit more about this? The first step for us is to make this migration and not to have anything break. there’s a lot of work to do just to have everything work as we know it, and moving everything to this new infrastructure of the cloud as opposed to our own owned and operated infrastructure. And that needs to be done before we start thinking about how we can start taking advantage of it in new and unique ways, because those will all be net new additional work on top of just getting it all migrated. And that migration in of itself a huge undertaking. It will take us all of this year, and then some. So looking for benefits from that migration? some of those benefits might come rather quick, once the migration is completed; like we might be able to run on more high-performant hardware that allows for more high-performant simulators and maybe improve the performance of regions. The work to move Second Life to the cloud is a major project, liable to run until at least the end of the year, if not longer, before the basic migration of services complete. Credit: Linden Lab / Amazon Web Services Inc. Taking advantage of the geographic distribution of the infrastructure so that we could run infrastructure in other regions, whether it’s Europe or Asia or something like that, that would take some more work. And you also have to think about that ultimately, the people connecting to a particular region, they need to connect to the same server, so if you have a server in Europe, then it’s better for the Europeans, but then it’s worse for people in the US. But it might be that we see ultimately that certain regions have predominantly a European user base or an Asian user base, and then maybe we can shift that infrastructure to be closer to where most of the users tend to come from. But that will take a while. Another possible opportunity to be considered once this migration is done is more dynamic loading and shutting down of regions. Something Sansar does is, it doesn’t run 24/7 like Second Life does. As soon as no-one is visiting a region, or and experience as we call it in Sansar, then it basically gets parked on disk. Then if a new person comes to visit it, we spin-up the server on the fly and make it ready for someone to enter. Which takes a few seconds, but when it’s not running, well we don’t have to pay the bill for the CPU and the GPU, and just storing that content just on disk is very cheap. So whether we introduce a product that is like that, that would maybe have less persistence over time, or it would take a little more effort to script certain systems because it wouldn’t necessarily be the same as you know it in Second Life, that might be completely the right decision for someone who wants a lower-cost option. But that is quite a way out. First is just to complete the migration and get to this new infrastructure. Other options are that it might just be easier for region owners to maybe choose different classes of server to run on at different price points, depending on how busy or how big of a crowd you expect to have or how complex you want the whole experience to be overall. These are all possibilities. But it’s quite a way out. We have a lot of work to do to just move out of our current infrastructure co-location facility on all this hardware we’ve been running on for many, many years. Not that it’s all fifteen years old! No, no, no! It’s all much newer than that. I wouldn’t expect to see – other than maybe performance improvement when we migrate – I wouldn’t expect to see any new features until quite some time beyond doing just the migration in and of itself. And we’re talking sometime next year, maybe. We constantly have to upgrade hardware, and hardware breaks all the time, hard disks and CPUs and GPUs and there’s staff who constantly update things to keep things current. But at some point it becomes a significant capital expenditure to get new hardware – certainly some new type of hardware, whether it’s switches or what have you. You don’t necessarily want to have to go and buy a whole new set of those things when you can go to the cloud and pay for just on demand, what you need. So it’s the right time to do the migration, and we’re committed. The teams are working on it, and some early tests have been performed to see how things work. But by the time we get it all really taken care of, I’m guessing it’s going to be into next year. This is not an investment we would make if we didn’t have very long-term aspirations and intent. It’s a significant undertaking; it’s completely for the purpose of being even better for many, many, many years to come. This suggest to me that one thing you’d be able to do is host more people at events and remain reliably stable? We can still do a lot without new infrastructure; improving code; optimisations, there’s always room to tweak things to run more performant. That’s something we’re going to do in addition to being able to get to more modern hardware that will also help. So we’ll do what we can on the software side, and someday we’ll have the opportunity to run on even more modern hardware. And that’ll all add up to ultimately being able to have higher concurrency, larger crowds, bigger parties and all that stuff. Can you explain how grid-wide experiences work? Will they work across the gird unless specifically blocked by a land holder? Are they region-wide or can they be enabled at parcel level, and can one block some experiences but not all as a land holder? I don’t know that we’ve figured it all out yet, but today it’s basically an opt-in, that you say “yes, I want that experience to run on my land.” I think the team is considering an opt-out; so it’s easier to deploy very grid-wide experiences that people would opt-out of, rather than explicitly opt-in to. It might be that it’s required that you can say, “no, I don’t want that opt-in to anything automatically”; so the granularity there – and I think certainly a land holder should have choice as to whether something can or cannot invade their land with some experience. But we also think it can also be very hard to successfully get a lot of people to opt-in, and you can get a much bigger grid-wide experience if you instead choose an opt-out process. I think that’s what the team is thinking about, and again, I’m not sure if they’ve figured it all out, and when this would happen. But the idea is that we could have much larger experiences without requiring as much effort as it does today to get people to participate. So whether it’s easier for people to say, “oh, I’ll opt-in to all of it!” Because it’s a value-add to opt-in to some of these experiences, because it brings you traffic if you’re participating in these experiences; they might be reasons for people to come to your land to find the magic key or whatever it might be that the experience does. Make it easier to reach a broader audience with these things. How people opt-in or out might need to be figured out still, or they might have figured it out and I’m just not up to speed on it. But you can also image where there are regions that would just not be appropriate for that type of experience for various reasons. You’ve got to give the people the choice not to participate. Some third-party viewers can already set the environment, so presumably EEP will be server-side, rather than just being a viewer-side effect? It’s great because it’s going to be a lot easier for people like myself who don’t know how to create content like that, to be able to put something together that make me proud of my place, without having the skills that these creators do. It’s going to be fun! Note: a more detailed look at Animesh and Bakes on Mesh will take place at the SL15B Meet the Lindens Event. Can you tell us more about Animesh and Bakes on Mesh? I can maybe give you a quick overview. And Bakes on Mesh will be much more performant, since your viewer will have to fetch and render one texture for each body part, rather than the many that are applied today to get the same effect. So it will be a more efficient way, whether it’s doing tattoos or whatever it is. It’s basically about creating more performant content – and this all adds up. Between environment [enhancement project] and Animesh and Bakes on Mesh and a lot of the other things to do, we’re going to give creators a lot of new fun toys to play with, which is part of what we’re trying to do: make it possible for people to create ever more interesting content. *This is pretty much the actual goal of Bakes on Mesh – to allow system wearables (skin, tattoo and clothing layers) to be applied to mesh bodies and heads, with the composite textures (at the same 1024×1024 resolution as used by applier systems) to be processed by the avatar Baking Service. However there are some caveats (materials cannot be used, for example – as they can with applier systems – because the Baking Service currently doesn’t support materials. See my Content Creation User Group meeting updates for more on Bakes on Mesh and Animesh). Linden Realms: The Wrath of Ruth was recently unveiled as an update to a classic Linden-developed game, and the blog post talks about more games and experiences to come. Yes, and with all these new capabilities in the platform, Patch’s team continue to do more and more interesting stuff, as far as grid-wide experiences and more interactive experiences, and it’s just getting richer and richer as the years progress. And this is work we’re doing to – sometimes we call it eat our own dog food and make sure we can create content that’s interesting, so it’s a bit of a showcase to help creators on the platform understand what is possible; and it’s also a way for us to understand what kind of content is engaging to our user base and what can we do to increase engagement, and what tools and capabilities can we provide for creators to also create better engagement and monetisation opportunities for the things they do. This is something that is fun and rewarding, and the Wrath of Ruth has definitely been a very successful experience. Have you thought about including more puzzle-oriented games? Solving riddles, demanding less agility with the fingers and possible more with the brain? Is Sansar where you want it to be at this point in its cycle? No, I wish it was further along. But I think this is fairly normal for things of this size. That it’s always harder and rakes longer than even when you sit down and have conservative estimates, because you always want to be aggressive and you always want to believe that it’s possible to do things faster than you possibly can. Building a – basically a gaming engine, which Second life and Sansar are both types of game engines with rendering and physics and scripting and all that – we’re building a completely new one for Sansar from the ground up, building the whole cloud infrastructure we did for Sansar so that we can be able to dynamically spin-up and take down these experiences on the fly. Building the virtual reality experience – and virtual reality is something that hasn’t been figured out yet; it’s kind of a journey. The hardware keeps upgrading, the software keeps upgrading, but it’s like a new medium that you don’t have a lot of prior experience with. What is the best that lets users interact with content and with each other? What is user interfaces, and what is virtual reality? And we also support PCs, so you have to do things that PC users and VR user can do, but they have to do it in very different ways. One can use hand controllers and other has to use keyboard and mouse, and it’s not the same to do a lot of the things. You’re going to have to the product almost twice; once for PC and once for VR. So part of it is a journey of learning, and you can’t really just say, “well this is what it is going to be,” because you’re learning new things as you go down the path. At the same time, I’m very excited about the types of things users are able to create today, and how visually stunning it can be, and how beautiful some of these experiences that I’ve seen are. We’re getting more and more interactivity to make it possible for creators to create more and more interactive things. We’re starting to see some fun, fast-paced games: paintball games and hover derby are fun to play. so it’s getting livelier and livelier. We’re not yet trying to acquire users en masse; we’re still in what we call Creator Beta. Making sure users can make interesting content. I would say that early this year we started to focus on the consumer side of the equation – how easy is it to get in, how performant is it, how easy is it to connect with other people, to find content to do stuff in the product. And we’re noticing significant improvements month over month as we release upgrades to the user experience. And there’s quite a few little tests going on with different use-cases and different on-boarding experiences to test it with different audiences to see how they react to it. Personally, I love VR, I think it’s just fascinating to be inside the world rather than looking at the world. when the world is all around you and you’re inside of the world, you can have your avatar react to your body movement and facial expression. And the way you can interact with people in the world, to the brain it almost becomes indistinguishable to what it is to interact with people and with things in the physical world. And that’s extremely powerful. But VR has a long way to go to be a large market. Even today, the most users in Sansar are on a PC without VR. But there’s a substantial VR user base in there, and you can tell by how the avatars move around, whether they’re PC uses or VR users. And it’s a very good vibe, I think it’s a great starter community we have, who are really extremely friendly and helpful, and it’s just healthy. Now we just need to get the growth; and that’s a huge focus for us, to start to get the growth, and we’re going to learn a lot in the process. I’m extremely proud of the capabilities in the technology, but now we have to start to get growth and prove that this investment makes a lot of sense. It’s free, you can go in and create experiences in Sansar for free. So anyone on Second Life who wants to try it out, feel free to come over and try it out. I’m happy if users choose to use both Second Life and Sansar, or choose one or the other; I’m happy either way. We’re not forcing anyone to use either one. You choose as you wish. Recently Sansar has been involved in a number of tie-ins – Aech’s Garage and Basement from Ready Player One, and the Star Trek tie-in. Is this something you see as developing? We decided to make some significant architectural and design differences in Sansar versus Second Life. and one of them, scalability, was a key differentiator in Sansar from the beginning. In Second Life, as we all know, a region, or if we get really clever and do a four corner region set-up, we can house, if we’re being really careful, up to 200 people concurrently in an experience. Sansar has a built-in notion of instancing that when one region – in Second Life speak – is full, we can just automatically spin-up a second one, and do that indefinitely. So if I develop an interesting game that almost an unlimited number of players want to play at the same time, it supports that automatically. Now, all those tens of thousands of users or whatever it is, wouldn’t necessarily be in the same place at the same time, but they would have the same experience at the same time. This is just like any MMO game – like if you play Halo or any game like that, you never have 10,000 people in the same place at the same time, but you can concurrently have millions of people playing the game at the same time. Maybe there’s twenty people in each instance or fifty people in each instance; there’s some cap where you start to run into laws of physics to have too high a concurrency. So scaling-up like that is something that was built-in from the beginning. So being more interesting to large brands that want to have a huge audience to come and consume their experiences is something that would make more sense for Sansar rather than Second Life. 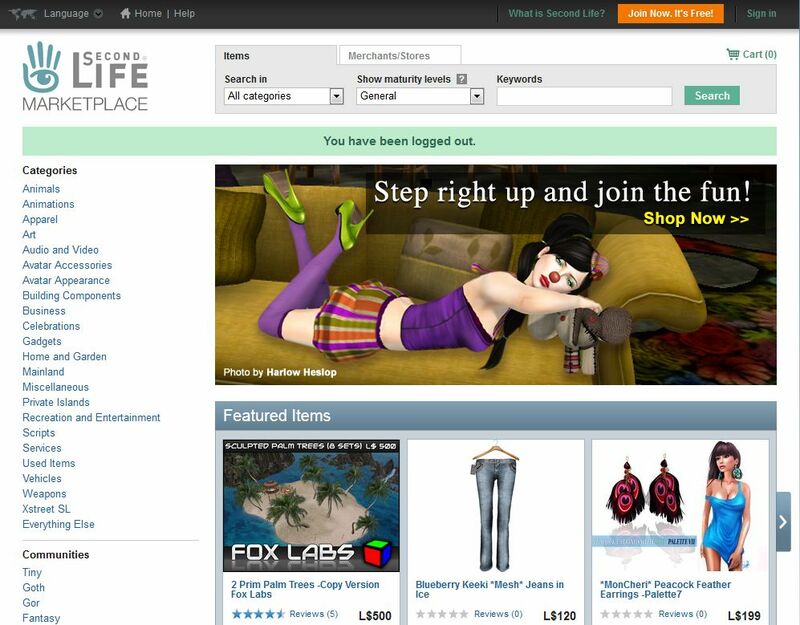 Second Life has its advantages with its always on, and easy to create content on the fly inside the place you’re at. In Sansar you have to go to a special Edit Mode, you do your edits, you re-publish your experience. So I would say the two platforms have different pros and cons, but scalability was definitely one big one. The scalability combined with the incredible visual fidelity we can do in Sansar- if you go into Aech’s Garage, you will see lighting and detail of content that is absolutely stunning. That comes with a little bit of cost on the performance side, which we will be working on to make sure you can run Sansar on lower-end systems. Second Life today is more performant on lower-end system than Sansar is, so Sansar is going to try to come down further, probably with having to pay some visual fidelity penalties to get down there. Visual fidelity, scalability, difference monetisation model. In Second Life, like I said, we feel like we’ve been charging too much for land and not enough on the GDP; and Sansar starts almost from the opposite end. Land is free to a point, you can create something and publish it to the world at no cost, and ultimately we want to participate more in GDP by taking a cut in every transaction that happens. So it’s a different model. Sansar is also a little bit more like a platform in that we envision every experience being a significant entry point in of itself from the outside world, and make it easier for users to create and experience and attract their own audience from the outside world. Kind of like we talked about with gateways for Second Life. There’s going to be a lot of subject matter that we’re not necessarily the best source of new users for that experience, if it’s a brand or another company or an educational institution; they might be more effective at bringing the users into their experience; and making it very easy for people to come into any one experience from the outside world, is more of a goal from the outset with Sansar. Whereas Second Life is kind-of this hermetically sealed world where you tend to mostly come in through the front door, then you discover all the things on the inside. So Sansar turned that concept inside out a little bit. So there’s a number of difference like that, that make it maybe more appealing to some of these tie-ins that you mentioned, than it would be able to do that with Second Life. You’ve referred to Sansar as a kind of WordPress for virtual reality, empowering people to create their own spaces. There’s kind of a spectrum of platforms for these user-created worlds. On one end of the spectrum, you have things like Minecraft; kids can go in and create stuff and have fun. And on the far other end of the spectrum you have gaming engines like Unity and Unreal, where it takes a lot of technological skills to create anything that you can share. You have to build an application, you have to compile code, you have to set up your own server infrastructure. You have to do a lot of work. In between those, you have Second Life and Sansar. That is, I don’t need the techno-sophistication that a Unity developer shop or gaming studio requires, but I can also do something much more unique than a Minecraft world. We’re on that spectrum where we want to be, and I would say Sansar is somewhere between Second Life and Unity, if you will, because of the capabilities around scalability so someone who should be able to create a game or an experience of some kind that could attract millions of users, and the system would automatically scale to support that. That would not be a use case for Second Life. It’s still a young thing that’s going to have to find its ways. But I think there’s a big gap. WordPress is great because building a website before WordPress was complicated. You had to set up your own server and you had to know how to do HTML and if you wanted to have some sort of functionality, you’re now inside of scripting tool / programming language, etc., etc. Then WordPress came out and said, “no! Just check these boxes, choose a template, drag and drop, publish, boom! Your website is up there for the world to get access to. It is growing. It’s a journey. You can have all kinds of plans, and you constantly have to adjust as you get customer feedback and see what users do and what they don’t do and what works and what doesn’t work. You have to find a blend of having your vision of what you want it to be, but then you also have to adjust and react, because there’s nothing like reality to figure things out. Sometimes you can have fantastic ideas on paper and diagrams and whiteboards, and then when users come at it, you learn a tonne of new things. We want to make sure we’re nimble and can react quickly to the demands of the market. There’s some other ones, not just WordPress. There’s some extremely successful blogging platforms or website construction platforms that require much less technical skill set than building a website from scratch. And I think the same is going to be true for three-dimensional worlds and experiences, and that’s where we’re trying to fit in. Making it easy enough that it can reach a much broader audience of creators, so it’s not just in the hands of gaming studios or corporations to create the content, but that just like in the physical world we can create our own homes, our own living rooms and our own backyards and our own schools, our own churches, whatever it is. We can create our own stuff and not just be fed the experience or content from these companies. We’ve sometimes used the word “democratise”, but to make it possible for, ultimately, all of us to have our own worlds, our own 3D experiences that we can use for all kinds of different purposes. Some of those platforms will make it easy for original content creation. Second Life is pretty damned good at that, in the 3D space. Sansar is a little more sophisticated tool chain, if you will; we don’t spend as much time enabling content creation in-world in Sansar, so it’s a lot of importing of things from Blenders and Mayas and all kinds of awesome tools that are on the market for creating, whether it’s audio, or 3D modelling or scripting, etc., and then import it into Sansar. And then in Sansar, make it easy to lay things out. I kind-of liken it to – thing of how much content you create in physical space. I don’t really create anything. The clothes I wear, I don’t make. The house I live in, I did not make, the car I drive in to work every day I did not make, the furniture in my home I didn’t make; I didn’t make almost any of it. But I managed to acquire it. That’s how most of us work. I managed to make it into my identity, because these are my clothes that I chose and my haircut, and it’s my home with my rug and my table that makes it, and my art on the wall and my music that’s playing in the background, that makes it my home even though I didn’t have the skills to build all of the objects or assets that go into that. And with Second Life and Sansar, that is a bit what we provide. Yes, we enabled the manufacturers of those goods, the creators. But then we also have this huge audience of what we sometimes refer to as customisers. We don’t necessarily make the chair, but we go buy it and we put it in a particular place, and then we create something that feels like our own home. And then we have the choice as to who has access to our home, or who has access to our school, or club or whatever it might be. And so empowering people to create these virtual experiences that you can then bring people into from around the world to participate in and have interesting social interactions within those. I see a future where the demand for having virtual experiences, whether it’s for work or entertainment or social interaction of almost any kind, will become an extremely common thing. And we’re trying to lay the groundwork to make it possible for the world to take advantage of that. The final few minutes of the recording comprised a brief discussion on whether Ebbe has played golf in Second Life (he has), and what, in four years as CEO, has most amazed him about Second Life. He particularly points out – as he discusses at the top of this transcript – the stories of how SL has aided or changed people’s lives.